These French Revolution concept maps provide a visual chart of revolutionary events in France. They have been produced by Alpha History authors. 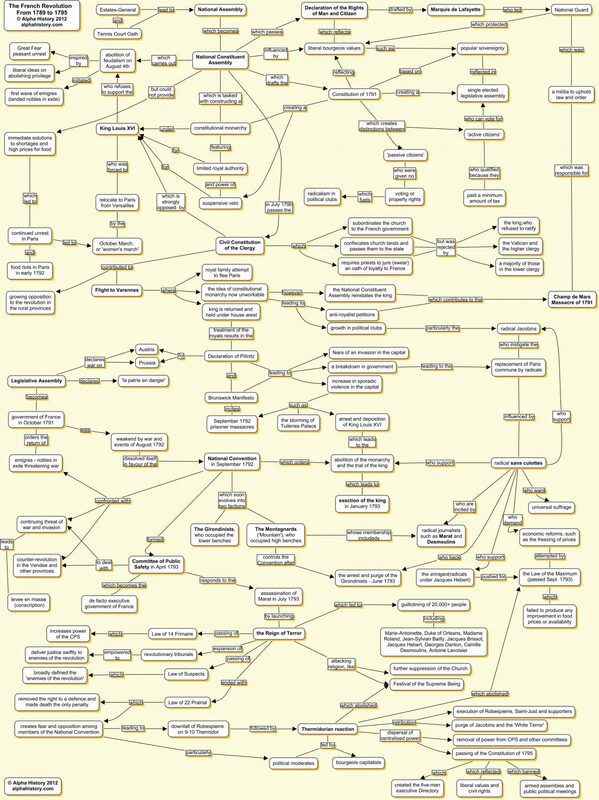 These concept maps are copyright Alpha History and may not be hosted, republished or redistributed elsewhere without express permission. 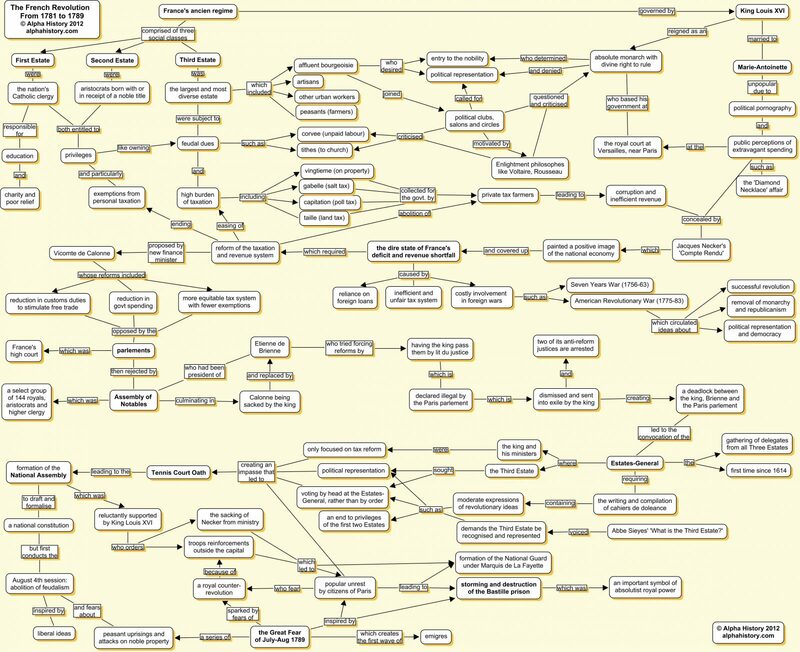 Note: Concept map images are large files (2-3mb each) so may download slowly on some connections.